Alternative input devices to the computer mouse are becoming more affordable and accessible. With greater availability, they have the potential to provide greater access to information for more users in more environments, perhaps while also providing more natural or efficient interaction. However, most user interfaces are built to be mouse-driven, and the adoption of these new technologies may depend on their ability to work with these existing interfaces. 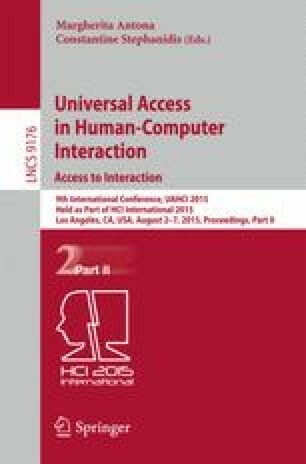 This study examined performance with gesture-control and gaze-tracking devices and compared them to a traditional mouse for a standard Fitts’ point-and-click task. Both gesture-controlled and gaze-tracking proved to be viable alternatives, though they were significantly slower and more taxing than the familiar mouse. In order to make effective use of these devices, researchers, designers, and developers must find or create control schemes which take advantage of the alternative devices’ benefits while curtailing the drawbacks.